If Yamacraw was the East Coast epitome of an UltraRunning Magazine spread this spring, then the Yeti Snakebite was its drunk, loud cousin. Both courses have about the same elevation, both are 50ks and both are amazing for completely different experiences. 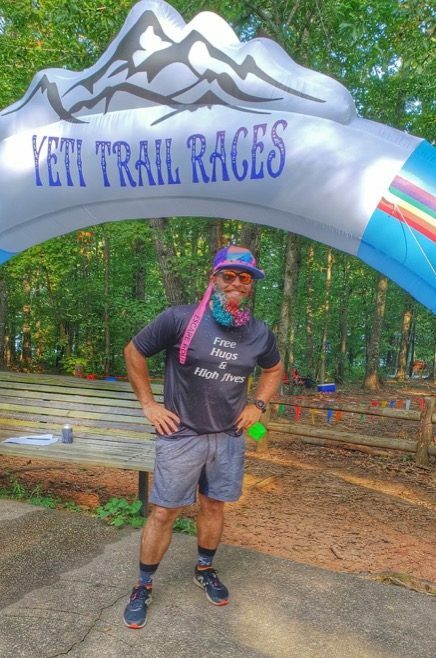 For some reason, I found myself comparing these two races a lot as I trudged along yet another uphill section in Sweetwater Creek State Park at the Yeti Snakebite 50K on September 9. On the surface, you might not see why. 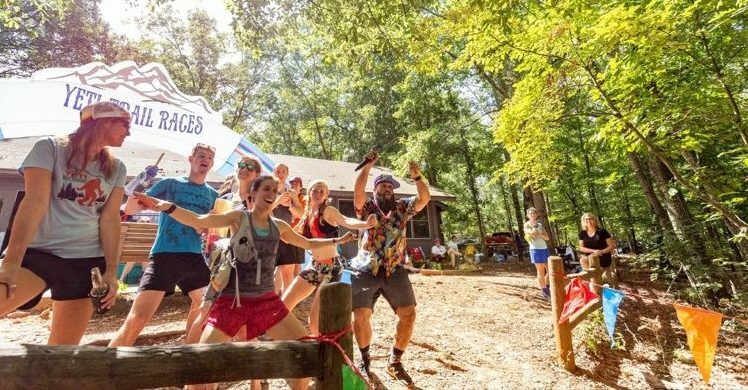 Yamacraw, held on the southern border of Kentucky, was a quiet, laid-back affair filled with lots of Subarus, Patagonia and super-cool trail runners. The RD was the first one there in the morning and still handing out medals and congratulations twelve hours later. Running the course made me feel like I was seeing some of the most beautiful places on earth, and I was lucky to be there. Since it sells out quickly, I was lucky to be there. It was also rainy, cold and muddy. Compared to the Yeti Snakebite, just outside of Atlanta, Georgia, you wouldn’t think the two had much in common. Yeti Snakebite is put on by Jason Green, a punk-rock-loving skateboarder who decided to start his own trail army, the Yeti Trail Runners. 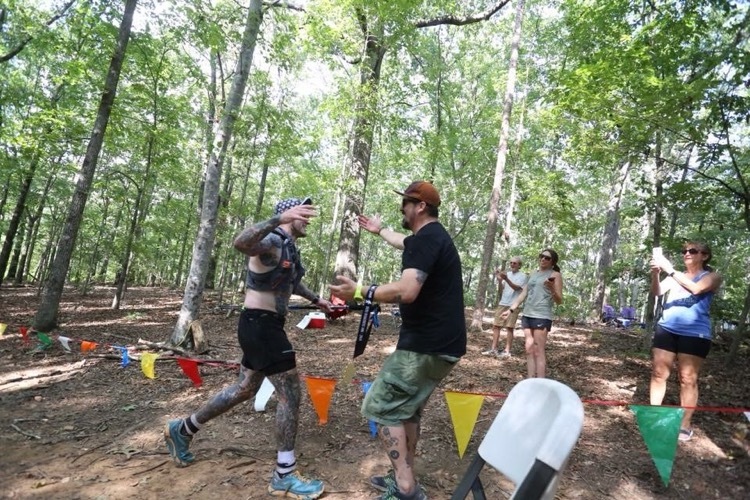 Race information is sparse, curse words are prolific and if Fireball and vodka-soaked pickles at aid stations offend your senses, his races are not for you. Billed as “beginner friendly” and a “fast course” I thought Yeti would be perfect for a weekend getaway. Camp in a yurt…fun. Meet Jason Green…fun. Nice easy jog through the park, which boasted some cool ruins…fun. Odd that the elevation gain was the same as Yamacraw, which I found challenging, but we all know those gains can be deceiving. Cue race morning. Parking and packet pick up was smooth. Profanity-laced Yeti bumper stickers on cars and Jeeps were parked as far as the eye could see. Pinning on my bib, I appreciated that I could fold it up tiny and not have to worry about damaging a timing chip on it. That’s when I saw the handwritten note from the RD on the back, wishing me a good race. Well, that was thoughtful. We lined up, got our instructions and got ready to head out on a figure eight, 11-mile course through the park. One key instruction from Jason: take a hard left at the top of the falls and you’ll get a nice downhill. If you go straight, you’ll be on flat trail. Hard left. Got it. The first two miles seemed so runnable I was worried. Where was I going to get a walk break if this continued? Oh, the nativity of the first loop. Things changed a bit at mile three: we dropped down into a more technical section in the river valley. The rushing river, the beautiful rapids, all the reasons we run trails right? Then the single track disappeared into boulders. Ok, I thought, just like Yamacraw. But let it be known, this is not beginner friendly where I come from, in Michigan. So, up we climbed until we got to a little more lovely single track and then a little more bouldering. Looking down at the river, I was in awe of the beauty of this part of Georgia. It was just striking. It was the same feeling I had at Yamacraw. I could hear the rapids getting louder. Don’t miss that hard left, that downhill is going to be nice. I found the hard left and looked up – yes, up – at a big, knees-in-your-chest, hands-on-your-quads, rock-filled hike. Expletives were dropped. Just like at Yamacraw, bless it all. Needless to say, the rest of the 11-mile loop was not the same as the first two miles. As the heat index inched up past 95 degrees those runnable hills from the first loop got harder and harder. On the small sections of exposed trails runners felt like they were under a heat lamp. One of my favorite running quotes is from my friend Julie and it kept playing over and over in my head: “It doesn’t get easier the longer you are out there.” So, like everyone else, I ran when I could, walked when the heat and inclines made it feel impossible and finally made it to the last uphill stretch to the finish line. 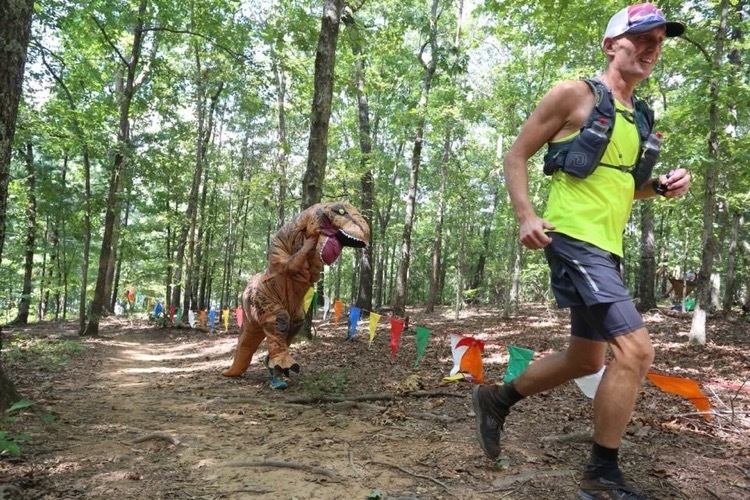 I looked back down the hill to see a guy in an inflatable dinosaur costume chasing runners up the trail. That’s about right. Up the final hill I went, to be hugged and cheered in by Jason, Glitter Beard (aka: Jarian Rich, the world’s best DJ), and the Yeti Trail Runner Army. While some runners soaked in ice, others enjoyed Creature Comforts beverages and more twerked with Glitter Beard as Naughty By Nature rocked the park. We all sang too loudly when Biz Markie started bemoaning his love life. The afternoon turned to dusk as we cheered in runners, rehydrated and whiled the day away with some old-school rap. It was an experience, that’s for sure. the original yeti Chuck Pullen 1994. Nice write-up, these folks are lovably weird.